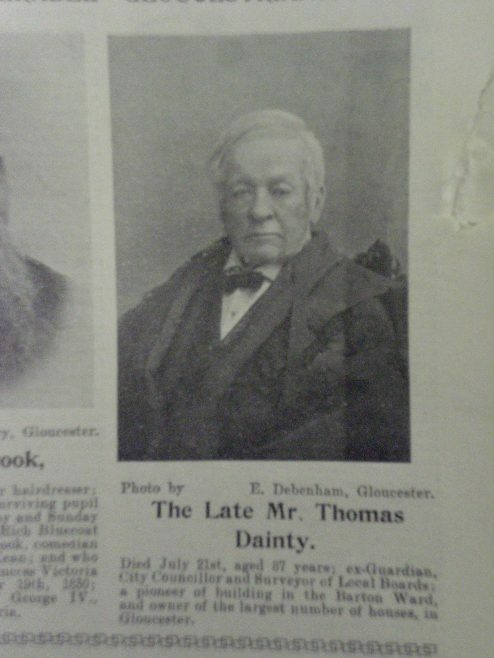 Thomas Dainty was born in 1815, the third of four children of Thomas and Nancy Dainty. He was baptised at Redmarley D’Abitot, and died at his home, Richmond Lawn, Conduit Street, Gloucester on July 21st 1902. He lived in Conduit Street for most of his life, and having gained considerable knowledge of architecture and land surveying, he bought land in the area and started building houses for the working classes. He also served the office of Guardian as a representative of the old Barton St Mary parish, and was surveyor to the local Boards of Health, before becoming their chairman. One of his favourite pastimes was dancing, and he had a ballroom built on to Richmond Lawn, where he invited friends to his musical parties. On his death, he owned nearly 200 cottages and villas in Conduit Street and its environs. 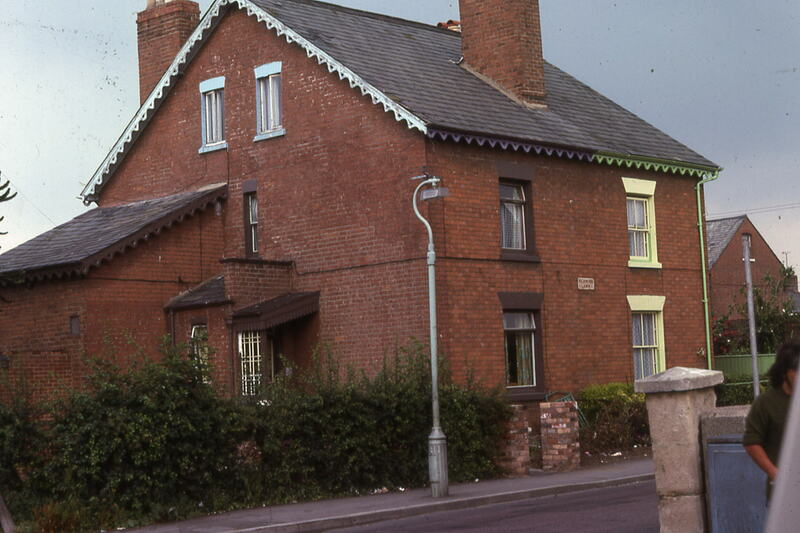 Many of his tenants from Dainty Street (which was named after Thomas), Tredworth Road, Brook Street, Daventry Terrace, Regent Street and Belgrave Terrace sent floral tributes. He is buried with his wife, Elizabeth, in St Giles churchyard at Maisemore. There are two stained glass windows to their memory in the church. You can see larger versions of the images below by clicking on them.